Astana (Kazakhstan) — November 6, 2018 (travelindex.com) — The Pacific Asia Travel Association (PATA) is set to organise PATA Travel Mart 2019 in Astana, Kazakhstan in September. The event will be hosted by the Ministry of Culture and Sports of the Republic of Kazakhstan and the Kazakh Tourism National Company JSC, the key organization in the tourism industry effectively promoting the tourist brand of Kazakhstan and contributing to attracting investments to the industry. 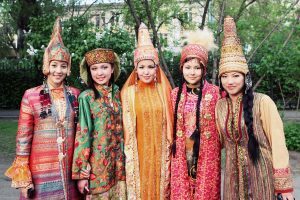 Kazakhstan is the heart of Eurasia. Located simultaneously in two parts of the world — Europe and Asia, it is at the junction of several of the world’s largest civilizations and borders with China, Kyrgyzstan, Turkmenistan, Uzbekistan, and the Russian Federation. Due to its key strategic location, it is among the strongest supporters of the Belt and Road Initiative strategy adopted by the Chinese government. According to the World Tourism Organization (UNWTO), the country received a total of over 7.7 million total visitors in 2017.